I am often asked, should I hire a lawyer to fight my DUI. My client will clearly tell you yes. Had my client been convicted, he would of faced a minimum jail sentence of 30 consecutive days, several thousand dollars of fines as well having to pay for every day he was in jail, (about $192 for the first day of jail and $72.00 for every day thereafter, more than $2,280.00) an Ignition Interlock requirement for a minimum of one year and 8 points on his driver’s license. So, in addition to avoiding a month in jail and a criminal conviction, my client saved more than double my fee in money. This is why you do not go to court and plead guilty. This why you should hire a lawyer. Now, not every client gets all their charges dismissed but more often than not, I believe the client gets a better result with a properly experienced DUI lawyer. Today, April 14, 2010, I will be calling another client to convey an offer I received from a prosecutor that will guarantee my client to get her extreme DUI dismissed and to serve only one day in jail. So my client saved 29 days in jail and close to twice what she paid to hire me. The other day, April 10, 2010, I received an offer to dismiss all DUI Charges including a Super Extreme DUI (minimum sentence 45 consecutive days) in return for a reckless driving plea. My client accepted that offer happily. Again, my client saved more than double my fee and eliminated a substantial jail sentence. I hope this information helps people when they are asking themselves should they hire a DUI Lawyer to defend them. 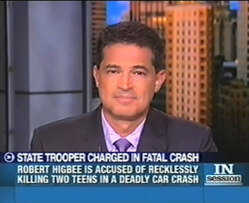 DUI offenses are not hopeless situations. Be smart, at least consult with a lawyer about your case. This entry was posted on Wednesday, April 14th, 2010 at 6:44 am	and is filed under Choosing An Arizona DUI Attorney. You can follow any responses to this entry through the RSS 2.0 feed. You can leave a response, or trackback from your own site.